• Readers Theater overlaps reading, writing, listening, thinking, speaking, and small group skills in a highly motivating activity. • Readers Theater builds fluency, confidence, life-long skills, and more for meeting local standards and equipping students for success. • Readers Theater integrates topics and learning multiple ways so that teachers can accomplish a lot in one delightful activity (e.g., health Readers Theater, history Readers Theater, science Readers Theater...). • Readers Theater simplifies lesson planning with a single activity that can be repeated regularly–even daily or in learning centers. • Readers Theater is easy, fun, and affordable for every age. 2. Honor our 9/11 heroes with our free 9/11 Readers Theater scripts: "9/11 Heroes" (Readability = grade 2.7) and "Never, Never, Never Forget 9/11" (Readability = grade 6.2, but some parts are easier) As always, both come with vocabulary lists and annotated curriculum links for easy lesson plans. In "Never, Never, Never Forget 9/11" the Statue of Liberty tells the story of September 11th from her perspective, with real news broadcasts intertwined. "Remembering 9/11 in My ELA Classroom" describes how one teacher helped her students learn about 9/11 using Readers Theater and other sources (includes photos of students reading aloud). 3. Remember September marks the birthday of the Star-Spangled Banner, the national anthem of the United States. The original poem was probably written September 14, 1814, and first published September 20th during the ongoing War of 1812. You can create your own Readers Theater from the lyrics of the song. Then, read the lyrics of the Star-Spangled Banner chorally. Or, enjoy our free script "The Betsy Ross Story" which presents the story of the first flag of the United States (Readability = grade 5.2). 4. Build leaders in emergent and beginning readers using easy Readers Theater scripts–perfect for ELL students (English Language Learners). You'll find simple scripts in a variety of places online (some based on picture books) or write your own. Unfortunately, some of the Readers Theater scripts online are not printable, but you can retype them. Remember, Readers Theater partner plays work great with puppets, too. Our Pinterest board "Puppet Theater Fun" has some ideas to help you. I remember the students in a fourth grade class I was teaching working quietly at their desks when our pet cricket started to sing. I told the children that they could sneak up to see him singing one at a time. One of the tallest students, Grant, sat in the back of the room. Grant excelled at everything–even crawling on hands and knees all the way up the aisle of desks to sneak up on the singing cricket! QUICK CRICKET TIP: A male cricket has only two prongs at the tip of the abdomen while females have three prongs. (Her center prong is an ovipositor for laying eggs.) Remember, only the male crickets sing! 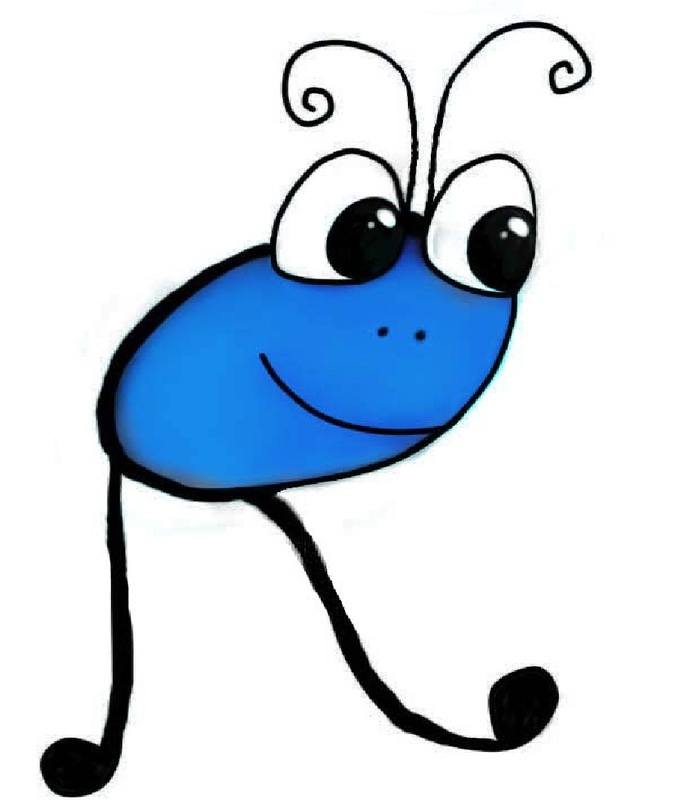 Teach your students how to write a simple class Readers Theater by having them dictate a cricket story with cricket facts. You may use technology and library books in small groups to help. Here's a video of a cricket chirping (from our curriculum links), but having a LIVE cricket will inspire them more. Our Choral Readers Theater script "Bees, Crickets, Ladybugs, and What?" includes a few fun facts about crickets and some other insects. (Readability = grade 1.0, for Script Buffet Club members). No matter what scripts you choose, remember that Readers Theater benefits you and you students multiple ways not just in September, but all year long! Our trustworthy scripts make it easy. What kind of scripts will you choose?